The men behind the masks, Peter Mayhew as Chewbacca and Anthony Daniels as C3PO. This is one of my favorite chewy moments. 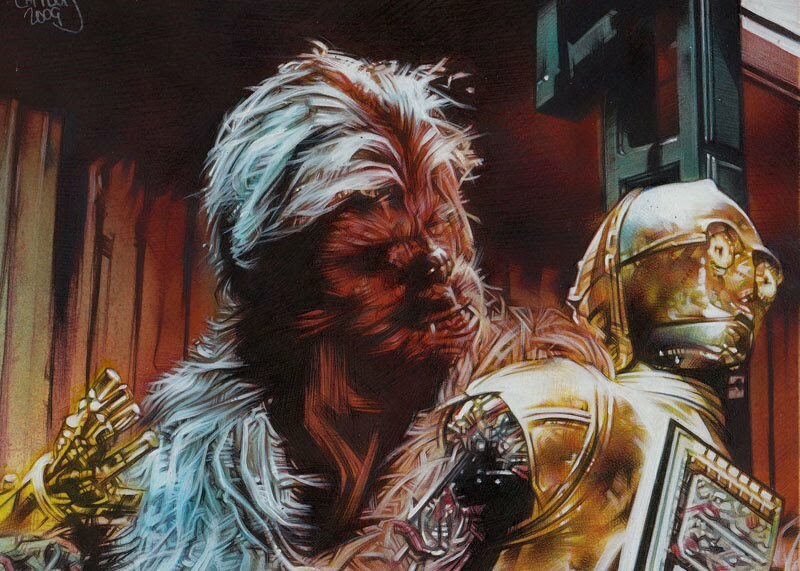 Its from the scene in Empire Strikes Back when Chewbacca’s stuck in the detention center on Bespin and he starts to reassemble C3PO, but puts his head on backwards.